Description: In this book, you’ll read personal examples of those who tasted the afterlife and lived to tell about it.How could a loving God send anyone to hell? 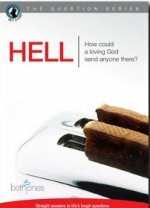 Isn’t hell just a scare tactic Christians use to recruit believers? Some people think hell is a place where they can party with their friends for eternity. Will hell be a big party? Does God really send people there? The reality is that God doesn’t send anyone to hell against their will. In this book, you’ll read personal examples of those who tasted the afterlife and lived to tell about it. You’ll see what the Bible actually says about the "who’s who" and the "what’s what" in hell. Who knows, reading this book might even scare the hell right out of you.